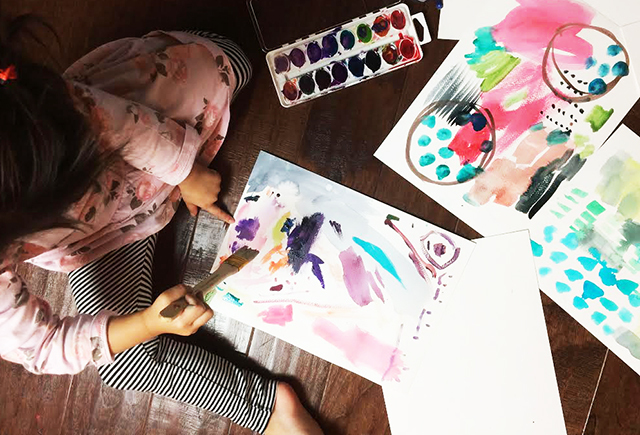 Since I spend a lot of time making art with a toddler by my side, I'm always finding new ways to keep both Lucy and myself inspired and engaged while we create together. At three, she really wants to try the techniques and tools that I use so I have learned that it is helpful to use techniques that are fun for both of us. 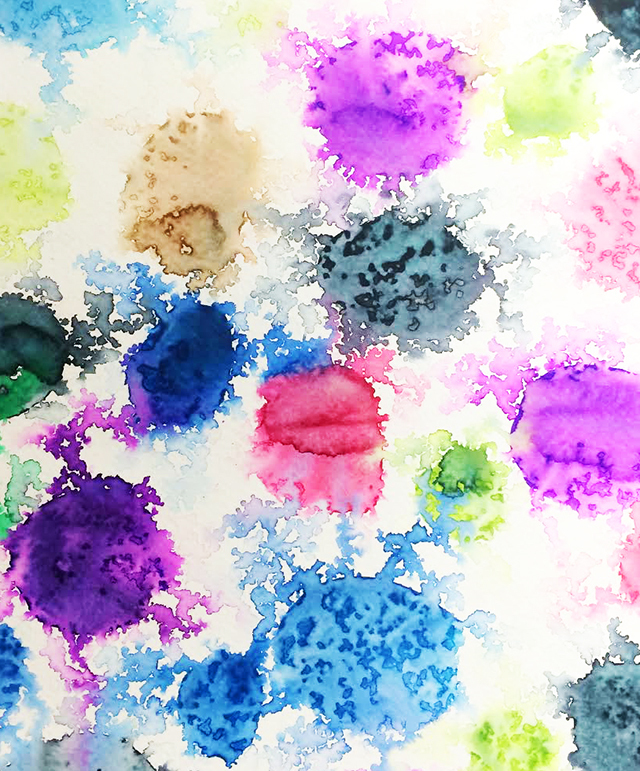 Today I am sharing my favorite simple and fun watercolor techniques that artists of any age can use! 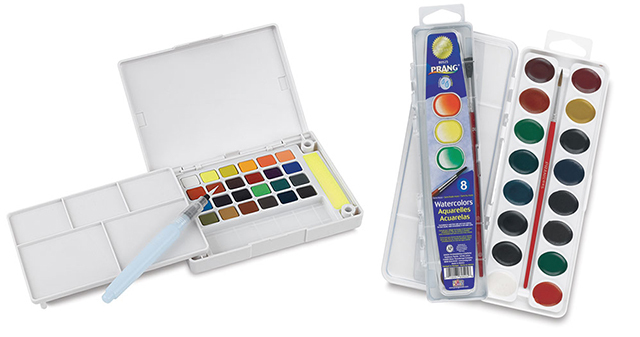 A NOTE ABOUT SUPPLIES: I will use just about any kind of watercolors- my favorite is my Sakura Koi Sketchbox but when Lucy and I create together I also like to use a set of the Prang semi moist pan sets. They are not super expensive so it's not the end of the world if they get ruined but they still are really nice quality colors. With summer gone the rain has arrived here on the Oregon Coast and there are days when it is fun to incorporate the rain into the creative process! Start by painting on watercolor paper, the more paint and variation of color will work best. Once satisfied, take your paintings outside into the rain. The results will depend on how hard it is raining and how long you leave them out (too long will completely wash away the paint). But just a few seconds in the rain will leave beautiful little dots and specks where the rain drops hit the pigment. 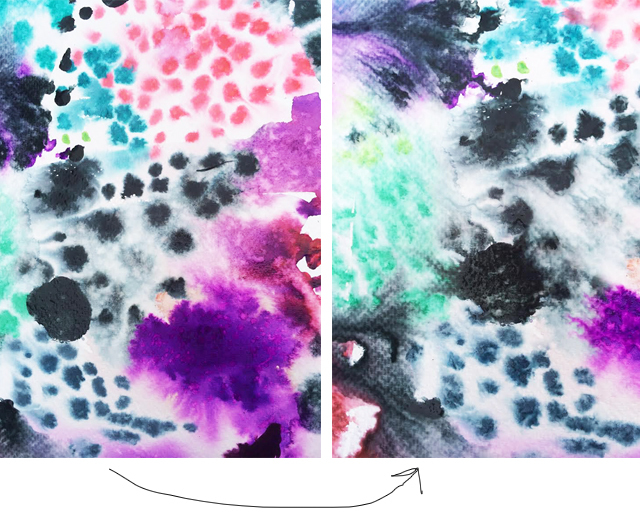 Lucy enjoys this process (because she loves standing in the rain with an umbrella) but I am completely obsessed with rain painting because it is a really fun and unpredictable way to create colorful watercolor backgrounds. 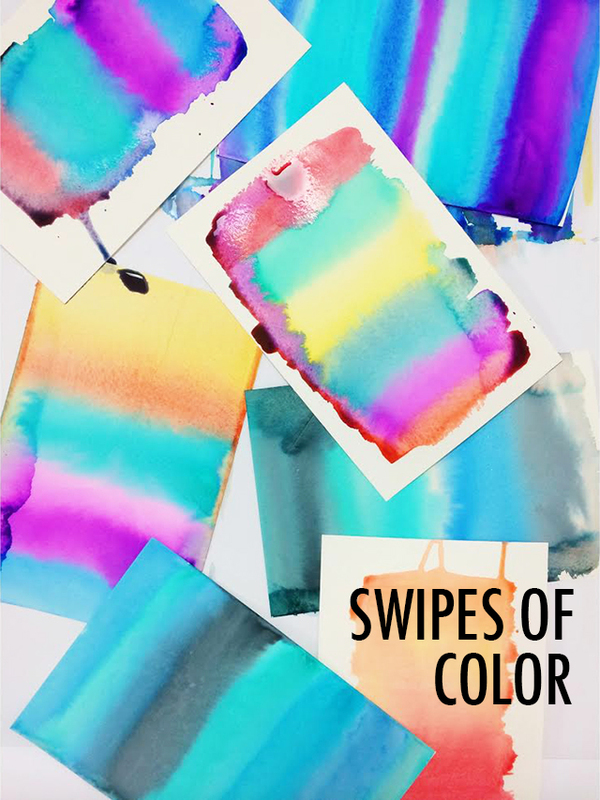 Creating a surface full of colorful watercolor swipes is easy for artists, kids and even non painters! 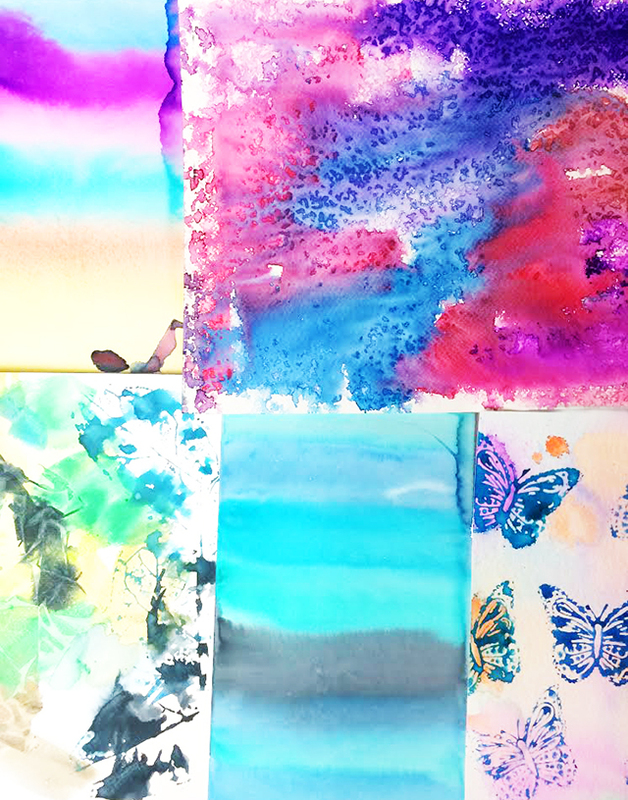 Once dry it makes really beautiful paper that can be used for journal pages, as wrapping paper, stationary or art for the wall. 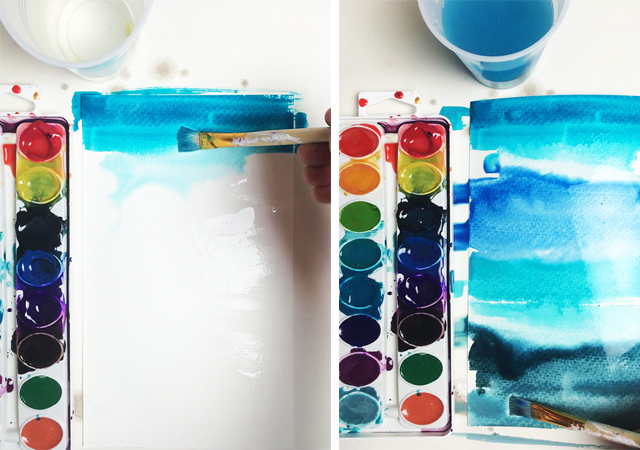 Start by brushing clean water all over the surface of watercolor paper. 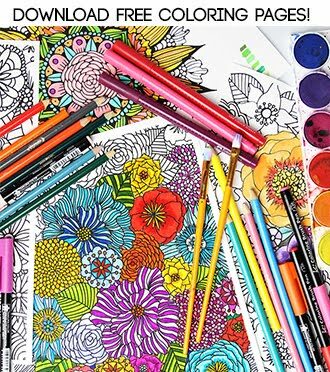 Next, dip your brush into color and swipe a line across the paper- give it a second because the color will bleed (that is the beautiful part). Continue down the page, swiping different colors- the colors will bleed into each other. Using saran wrap with watercolors is really fun way to create unique (and unpredictable) texture on a surface. 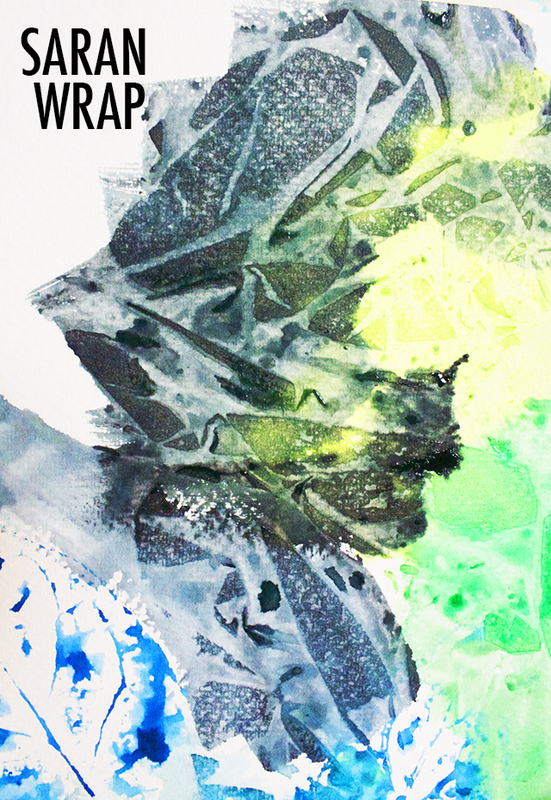 Start by painting your paper and then lay sara wrap over the top- the more wrinkled the better. Lucy enjoys wrinkling and arranging the saran wrap. 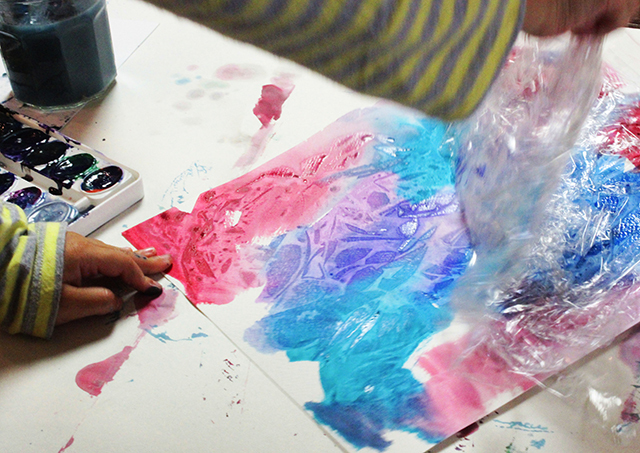 Let the paper sit long enough for the paint to dry and then peel the saran wrap away. You are left with a surface filled with texture! 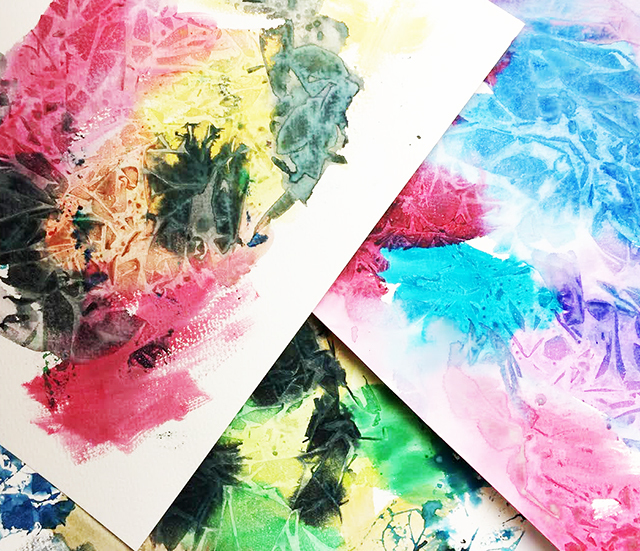 I love using spray paint and ink sprays in my art but those materials are not that kid friendly so I like to fill different things with watercolors so spraying and splattering is easy when working with watercolors. 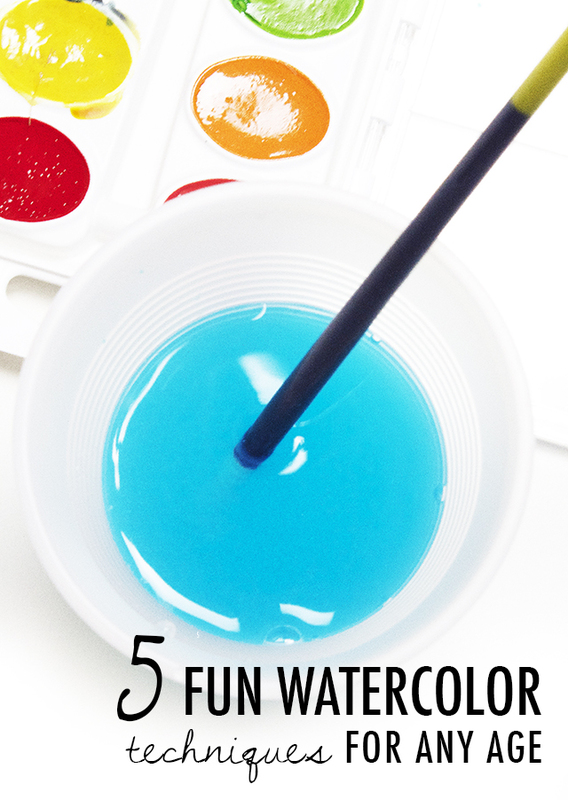 I start by mixing up colorful paint water. Once I have the water saturated with color I pour it into mini misters (but you can use just about anything that sprays). 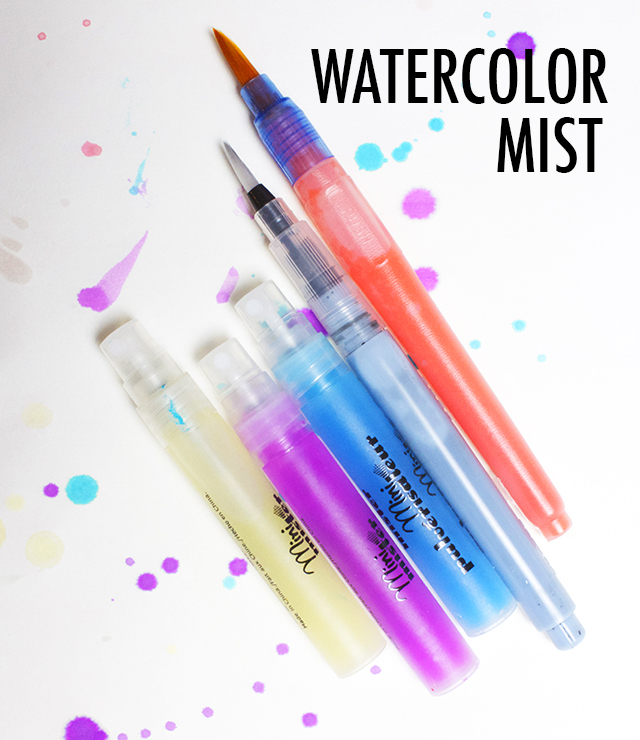 I also like to fill my water brushes with colorful water to use for dripping, splattering, writing and painting. 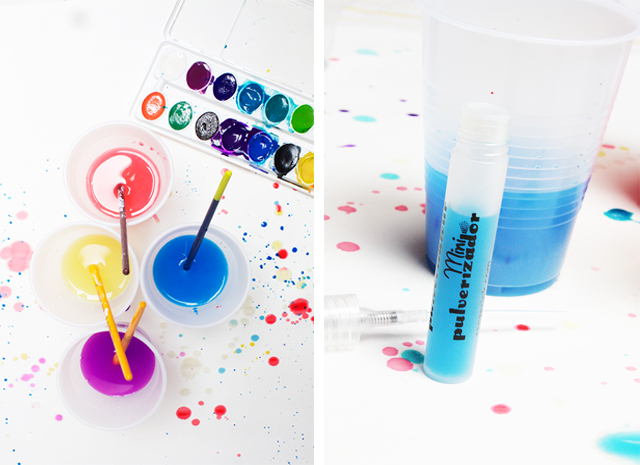 The sprays are super kid friendly and are a really fun to use watercolors with stencils. And a water brush filled with paint is a clean(er) way to splatter! 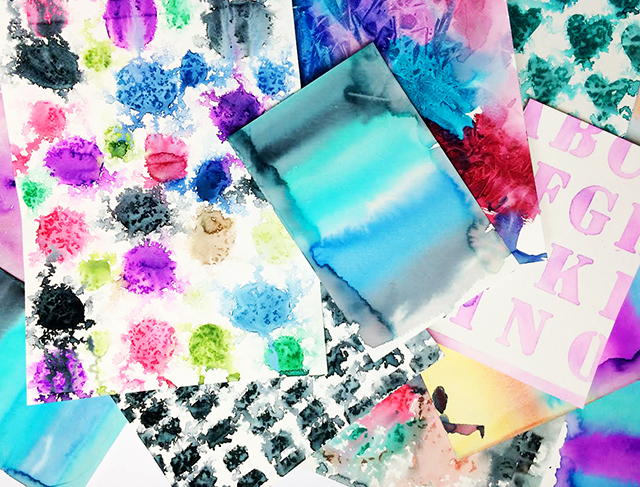 Watercolors are not the first thing you think of when working with stamps but stamping with wet media is actually a really fun way to achieve an unexpected and pretty image. 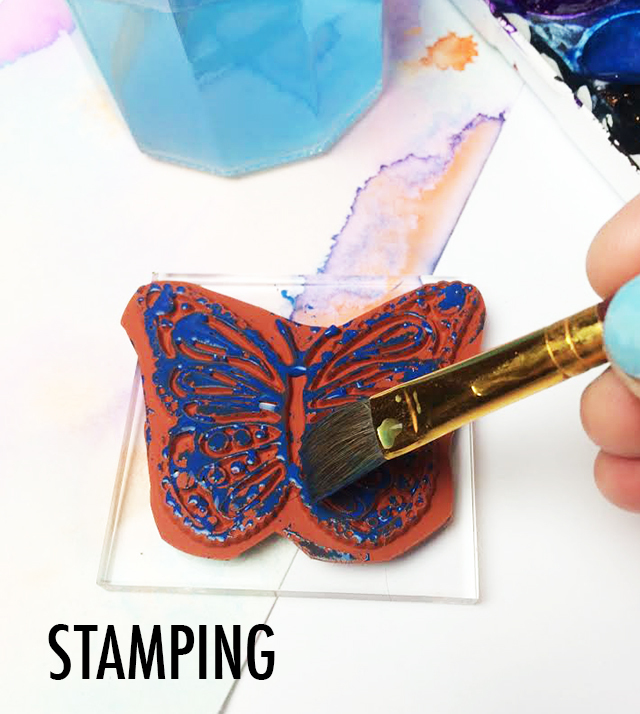 Using a brush, simply cover your stamp with color. 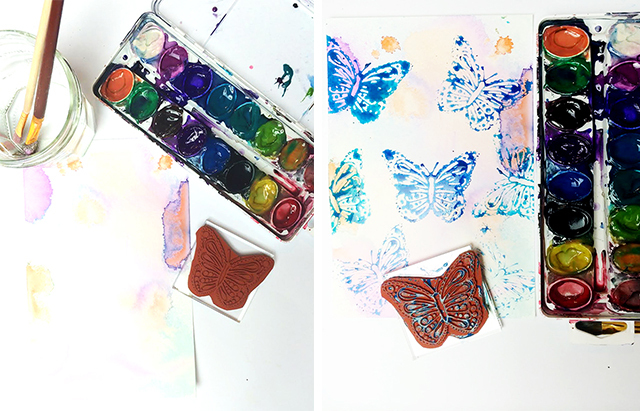 I am using one of my own butterfly rubber stamps (you can find them in my shop HERE). Then stamp just like you would if you were using ink. 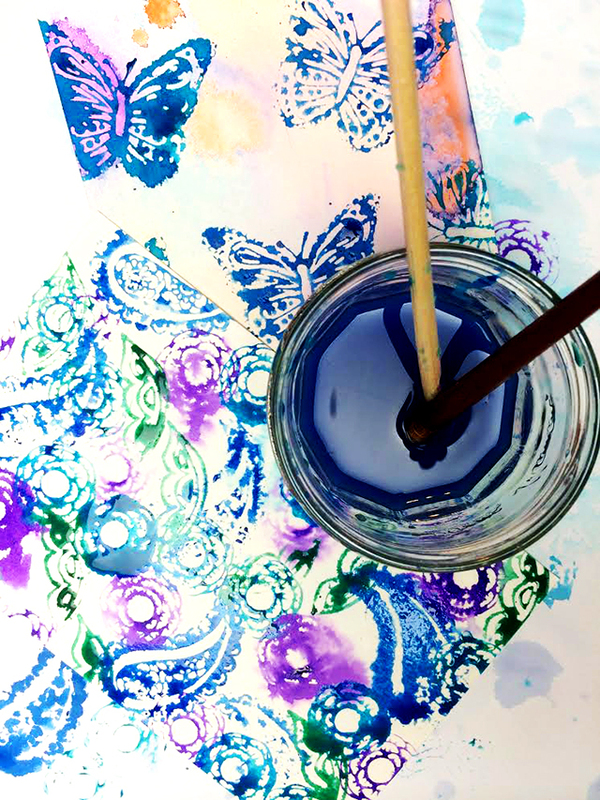 NOTE: You must keep in mind that stamping with watercolors will not achieve a perfect imprint instead you get something a little blurry and transparent- which works great if you are creating watercolor backgrounds or if you want to layer color and pattern. 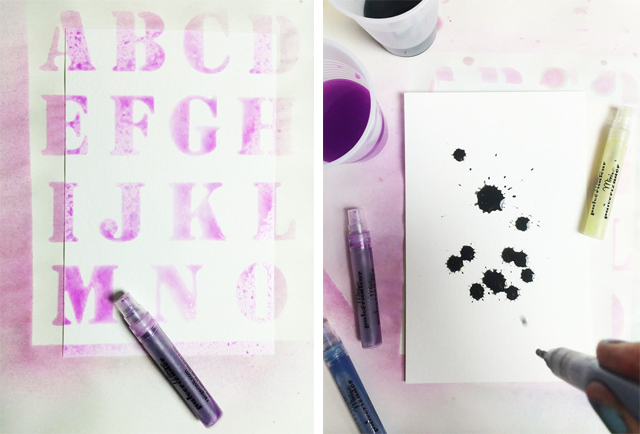 You can even stamp into a wet surface and the imprint will blur even more! Those of you wondering what in the world does one do with all this paper...In the coming weeks I will be sharing how we use all of our watercolor paintings! I love this Alisa (as always)! Although I have used some of these techniques in the past I have not yet tried them with kids. My girls are a bit older than yours (5 and 8) and have their own Koi sets. We are going to play with this the coming week! Thank you so much for the inspiration. Love it.. so pretty and awesome! Wow - love this post! Great post - can't wait to see what you do with these papers! Thanks for my morning inspiration! Great ideas. I can't wait my grandson is old enough to play with watercolor. 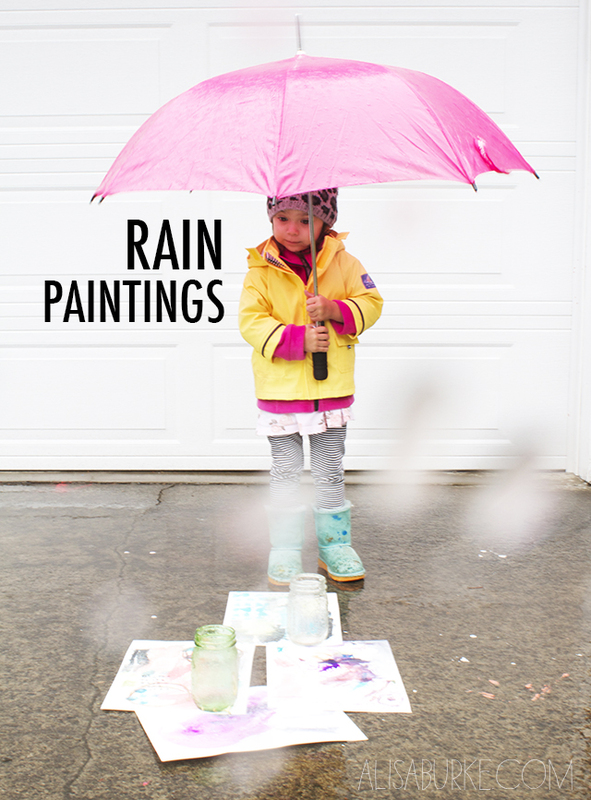 Great ideas - I especially love rain painting! These are beautiful beyond words! How in the world did you get so clever !!! :D Thank You-Thank You-Thank You !!! This is so cool! I will definitely try some of these out! These are great ideas! I think I like the Saran Wrap one best - it looks like marbling. Do you use photoshop to enhance your photos? Great ideas! 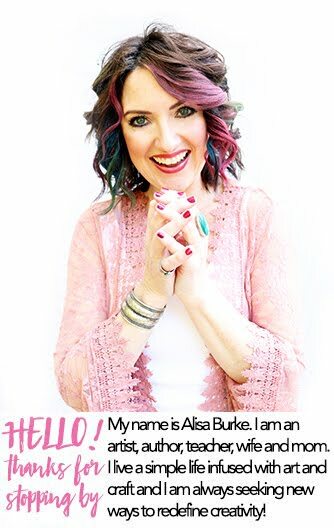 I just found your blog recently and want to say I also admire your photography and your blog layout a lot - a very fresh and professional look. I've tried some of these techniques with now 6 year old but our challenge has been how to keep him from always choosing dark colours and mixing them too much for an even darker result. Fun, fun, fun....and you don't have to be a child. Che belle tecniche! Le proverò tutte con il mio bimbo!!!!! Grazie!!!! Beautiful techniques! The'll try with all my baby !!!!! Thanks !!! !